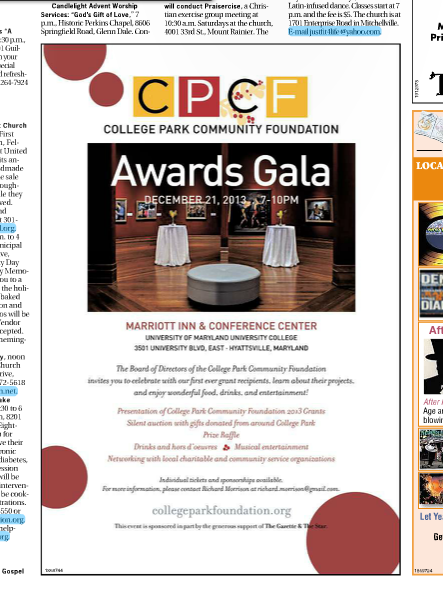 A special thanks this week is due to our friends at The Gazette for their generous support of this year’s Winter Gala. The ad below is running in this week’s edition, so grab a copy today. You can join in the fun as well – tickets to our first annual Winter Gala are available here.